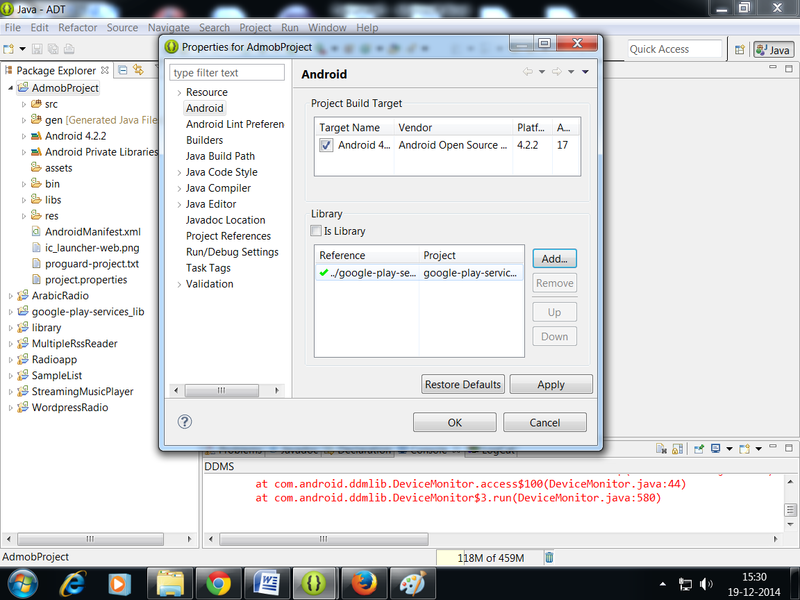 Create new Project in eclipse. 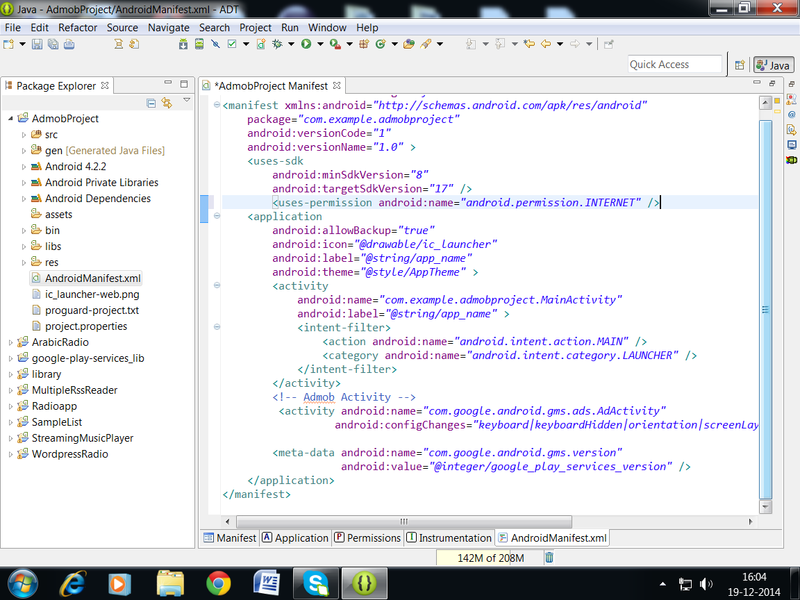 import Google Play Services library into your workspace. 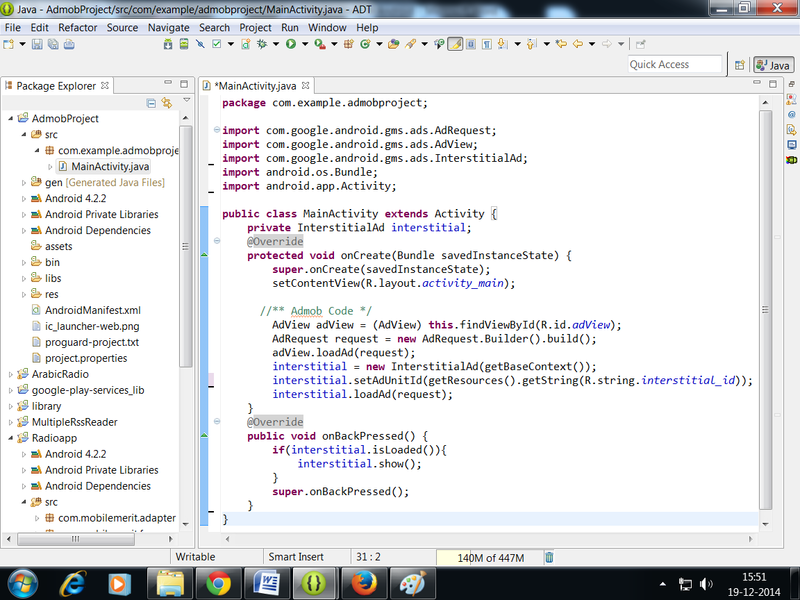 add Google Play Services library into your project. Right Click on project than open “property” window. 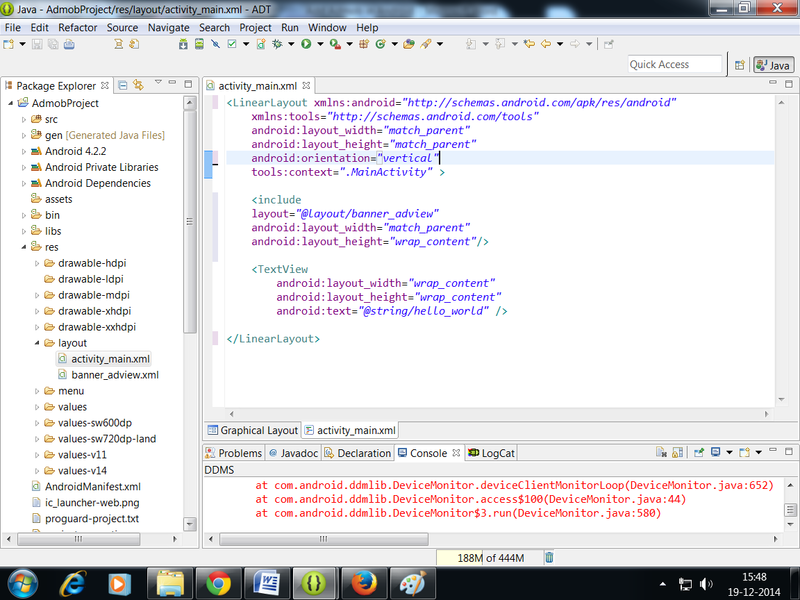 Click on “Android” and add library. Give permission for internet inside “manifest.xml”. 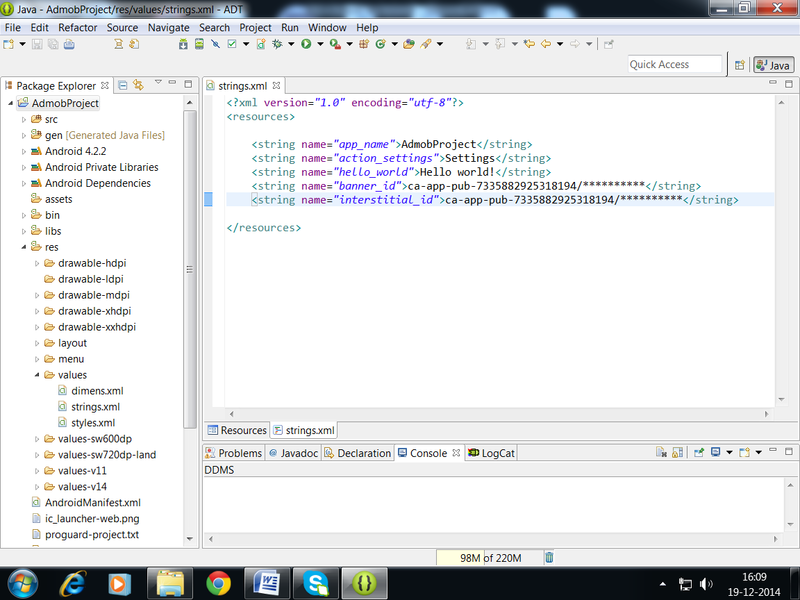 Copy and paste these lines into you manifest.xml under tag. Create a xml file inside “layout” folder which is under “res” folder. Give file name as “banner_adview.xml”. 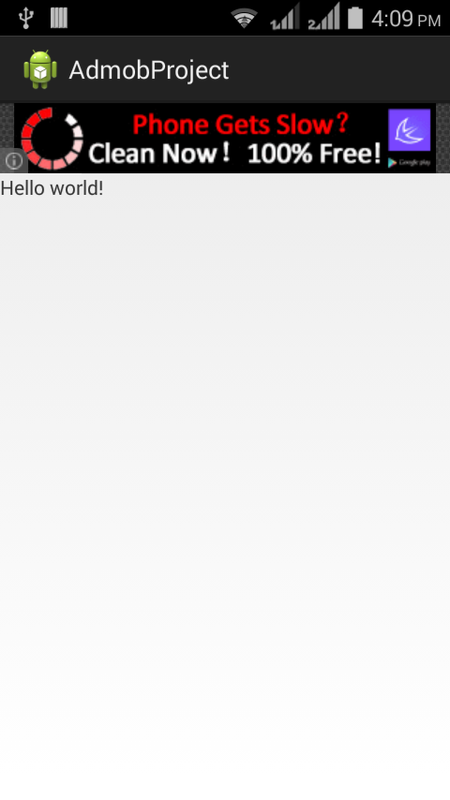 create “InterstitialAd” variable into “MainActivity.java”. add these lines to integrate banner adview into "onCreate()"
and finally add these line for interstitial ad on back pressed button. 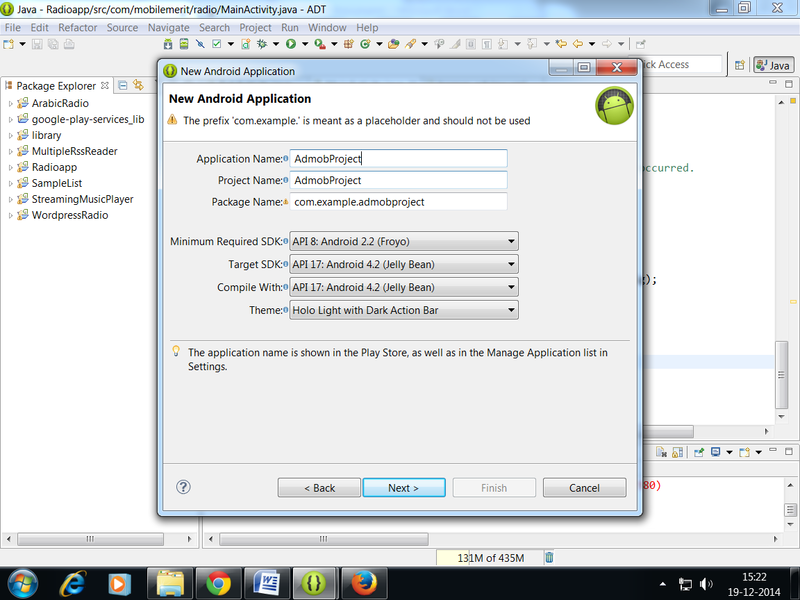 Run your project and check you have successfully added Admob into your app.